We're not worthy: Georgia police dog "Tanja" is buried with full honors. Many people bearing such burdens would make a point of meeting with the injured child and expressing contrition in person. 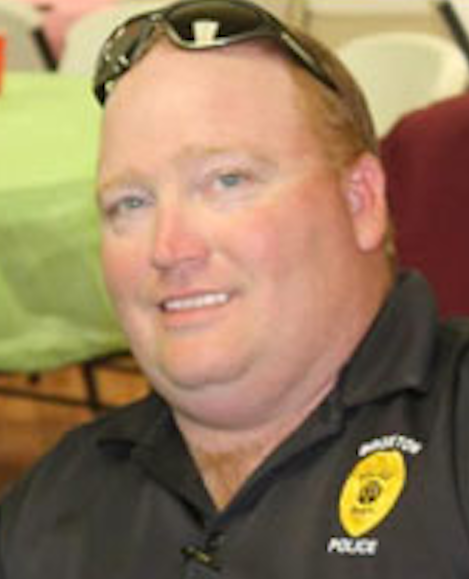 Vickers didn't have time for such a gesture, however, because immediately after the shooting he went on what was described as a “pre-approved vacation” from his job as a drug investigator with the Broxton Police Department. At the time of the shooting, Vickers was in pursuit of a man suspected of shooting a police officer from nearby Douglas, Georgia. However, Vickers didn't fire the shot at a human suspect; he was attempting to shoot the Corbitt family's dog. Owing to his good-enough-for-government-“work” marksmanship, Vickers nearly murdered the 10-year-old boy. Every day in this country, police officers, acting on the basis of vague and usually implausible fears, shoot and kill dogs. This isn't true of service personnel whose occupations actually benefit the public -- such as postal carriers and private couriers – and involve frequent contact with unfamiliar canines. In some cases, the shooting or destruction of a family pet by a privileged aggressor has been compounded by the threat – or imposition – of charges against the grieving human victims. The memory of man runs not to an occasion on which an armed emissary of the wealth-devouring class has been prosecuted for killing or injuring a privately owned canine. A member of the productive class who kills, wounds, taunts, or even barks at a K-9 “officer,” on the other hand, will face criminal charges, even if the act was committed in demonstrable self-defense. Under a bill approved by the Georgia state senate last week, a Mundane who “assaults” a police dog could face up to ten years in prison and a $10,000 fine. ...unless he was a fellow LEO, of course. Senate Bill 72, “Tanja's Law,” is dedicated to the memory of a police dog that was shot and killed during a SWAT raid in Georgia that took place just a few weeks after Vickers nearly killed Dakota Corbitt. Tanja was buried with the Brezhnevite pageantry and state-dictated solemnity that accompany every police funeral. Late last year, the man who shot Tanja, a genuinely unpleasant specimen named Steven Lee Waldemer, accepted a plea agreement imposing a 20-50 year prison sentence. This was seen as inadequate by Tanja's human comrades, who insisted that any Mundane who lifts an unhallowed hand to injure one of his canine overlords must suffer more severely than the present law dictates. In its original draft, “Tanja's law” would have treated the killing of a police dog as an act of second-degree murder – the charge that would have been filed against Vickers if he had killed Dakota Corbitt and had done so as a common citizen, rather than a state-licensed purveyor of violence. Of course, this would have applied only to specially designated members of that species, whose codified status in law would have been superior to that of human beings who are not part of the exalted fraternity of official coercion. A dog killed by a police officer wouldn't be regarded as a murder victim, or autopsied by the Georgia Bureau of Investigation, as “Tanja's Law” specifies. Nor would a human Mundane be allowed to use defensive violence to protect himself against an unwarranted K-9 attack. Herein lies the unarticulated, but undeniable, evil of this bill: In its original form, it would have expanded the circumstances in which police would employ “justifiable” lethal force. Under the Graham v. Connor standard, the individual police officer is trained that lethal force is “reasonable” in response to a perceived threat to his life or that of a fellow officer. If killing a police dog is “murder,” a human officer on the scene would be legally justified in killing a Mundane who is “perceived” as posing such a threat. Currently, it is common to see police officers gun down dogs that simply approach them. Indeed, that's how Dakota Corbitt was shot: The family dog raced into the family's front yard in response to the presence of an armed intruder. One entirely plausible scenario growing out of “Tanja's Law” version 1.0 would see a police officer gunning down a human being who verbally “threatens” or “takes an aggressive stance” when approached by a police dog. Although the revised legislation discarded the language designating destruction of a police dog (or horse) second-degree murder, it unambiguously elevates such animals above the rank of Mundane humanity. It has been pointed out that any bill bearing an individual's name is likely pregnant with trouble. This is certainly true of “Tanja's Law,” as it is of most such legislation. As it happens, the current session of the Georgia State Legislature is considering two specimens of that type, the second of which –– House Bill 56, also known as “Bou-Bou's Law” – would actually legalize the use of no-knock SWAT raids in Georgia, where such raids are both quite common and entirely illegal. 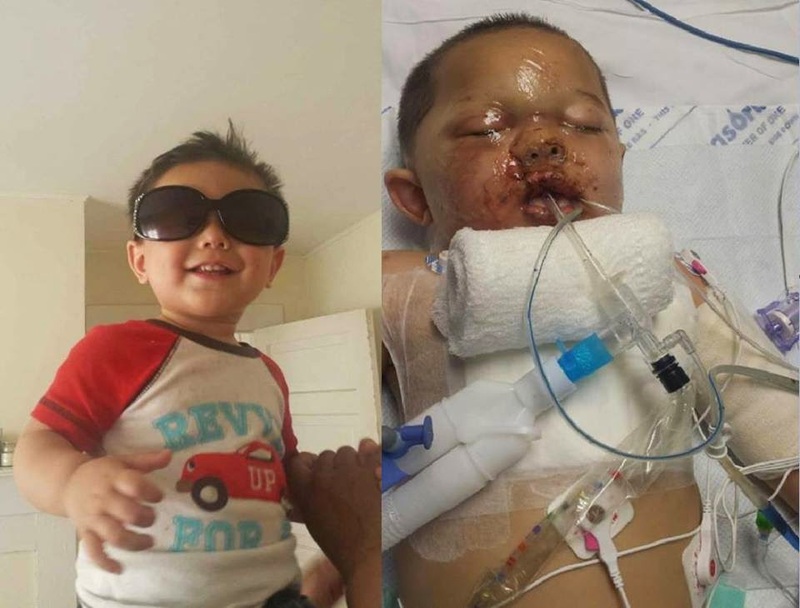 Bou-Bou Phonesvanh, for whom the bill was named, is the toddler who was burned, maimed, and nearly murdered during a 2:00 no-knock raid carried out in Cornelia, Georgia last May 28 by Sturmabteilung in the employ of the Habserham County Sheriff's Office. Bou-Bou and his parents were staying with relatives after their home in Wisconsin had burned down. Neither the mother nor the father was a suspect, or had a criminal record. The presence of toys and other indicia of children residing at the address should have been obvious even to the marginally sapient personages who find employment as police officers. 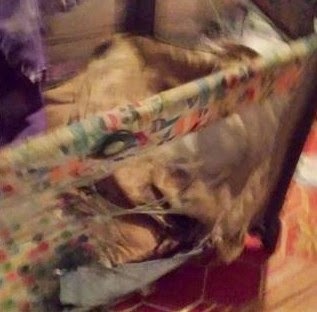 Heedless to any consideration apart from the degenerate urge to kick in doors and throw people to the ground, the Berserkers beat down the front door and hurled a flash-bang grenade into the crib in which the 19-month-old was sleeping. The warrant authorizing the raid in which Bou-Bou's chest was ripped open and his nose was blown off was issued on the unsupported word of a police informant that a $50 drug transaction had occurred at the premises a few hours earlier. An “official investigation” of the incident “justified” the use of force while Bou-Bou was still in intensive care. A prosecutor-dominated grand jury ratified that finding, while expressing highly qualified reservations about the use of no-knock warrants. 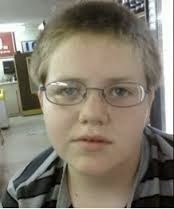 The panel described the investigation that led to the raid as “hurried, sloppy, and unfortunately not in accordance with the best practice and procedures.” However, it described the officers involved as “well-intentioned people … in too big a hurry.” The grand jury was actually more critical of “the parents and extended family” of the nearly-murdered child, who supposedly “had some degree of knowledge concerning family members involved in criminal activity that came in and out of the residence” – a claim that the state didn’t prove, but was sufficient to absolve the officers of all responsibility. State Rep. Kevin Tanner has sponsored a separate bill that would supposedly place the most modest imaginable restrictions on the use of no-knock warrants – most significantly, by forbidding the use of such tactics between 10:00 PM and 6:00 a.m. That impediment could be overcome by an earnest declaration from police that a post-midnight paramilitary assault is necessary in order to preserve vulnerable evidence. Rep. Tanner, perhaps not surprisingly, was a sheriff's deputy in Dawson County, Georgia for 18 years, and has personally participated in no-knock raids. Nothing in any of the proposed bills would actually prevent police from carrying out 3:00 no-knock raids. However, police unions will not countenance any criticism of such tactics. Although “Bou-Bou's” law has made it out of committee, legislative analysts describe the bill as “troubled” and unlikely to pass. This reflects the intense opposition from police unions and their allies, who prefer that such raids continue without legal authorization rather than seeing even the most trivial potential restrictions inscribed into law. Such people believe it to be entirely appropriate to imprison a human being for wounding a police dog, while offering a paid vacation to a cop who shoots a ten-year-old boy, or blows open the chest of a sleeping infant with a flash-bang grenade. To download or listen to the most recent Freedom Zealot Podcast, click here. The picture of that fat pig says it all. We must remember that none of this is about crime or safety, it's about control. When some people are given control of other people, regardless of their intentions or qualifications (or lack of), tyranny is the inevitable result. "...it unambiguously elevates such animals above the rank of Mundane humanity." absolutely true statement and now we know exactly how they view us peons --> lower than other non human animals. soon, it will be alright to treat us according to the 'standards' set by that 'law'. since we are lower than other non human animals, it will be quite alright to shoot us down in the streets in greater numbers than is being done now. when did 'sh*t for brains' become a requirement for any job, much less one where the person without a brain is given the monopoly on lethal force? This whole ordeal makes it very clear. Human life has less value to the police, than a dog that is part of the police racket of forfeitures. How on earth can police serve and protect the citizens when they view a dog as a superior life form above and beyond a human being. Just wanted to say Thank You Very Muchly for the time and obvious effort you take to detail and document the articles you have posted on this site. Although the articles do have a certain 'editorial bias' (with regard to the adjectives you choose to use to describe government employees) ...which could be off-putting to people who are less awake then others...I nevertheless appreciate the information. I am working my way from the current articles all the way back in time to the first postings you made in 2006, and have to say that I am mightily impressed that you are an equal-opportunity 'negative adjective user' when it comes to the Republicans, as well as the Democrats, and thus avoid seeming partisan bias that maddens me when I read other articles that attack this, or that, but miss the real (and most important) deeper meaning of all of this. Stay Awake, and keep defending The Republic! Kirk the elite love the brainless they do not want brilliance they want mediocrity. One has to wonder if, old people who have had their savings and retirement nest egg destroyed by the fed running the printing press into the ground. If they go to expand their food budget and start eating dog food and the establishment finds this out, as the price of dog food starts to skyrocket. Will laws be passed to criminalize hunan consumptions of dog food. Would the SWAT nazis across the country be doing, No Knock raids on old people's homes who's debit and credit cards show them to be buying large amounts of dog food. Would the cops sit outside of their homes to see if they walk a dog or have one running around in the back yard. No dog, then a raid by SWAT to search their kitchen for dog food. Would this lead to them losing their homes as criminals for criminal possession of dog food. It would be in the public good to have such laws and teach these old folks that they just can't go out and buy up all the dog food leaving none for the special lifeforms of the Police K9 units across America. It's clear from common behavior that the armored, steroided up, tactical LEO's are suffering from panophobia - an unreasonable fear of everything. Dogs and children are now just targets if they get in the way, or can even be considered to be somehow in the way. If you have a debilitating psychological problem - fear of everything - you are going to shoot first when you see movement, and you already have your G-19 or flash-bang in hand. Thus, no matter what ever happens, you are legitimately "in fear for your life" and deploying violence against the random toddler, child or dog falls within department protocol. In sum, the largest, legally-sanctioned criminal gang are a bunch of steroid abusing, mentally ill combatants - and everything they fear, which just happens to be everything that moves, is a target. Solution? We constantly hear the Bloombergian disarmament crowd calling for proscribing arms to the mentally ill. Perhaps it's time to begin such disarmament with LEO's. How many times have we heard of K9's being left in hot police cruisers to die a miserable death? Will the same penalties apply to the police officers who recklessly leave their exalted K9 partners to die in the sweltering heat of the back seat of a police vehicle? Or will the police chief or Sheriff opine about how badly the officer feels for killing his fellow officer? 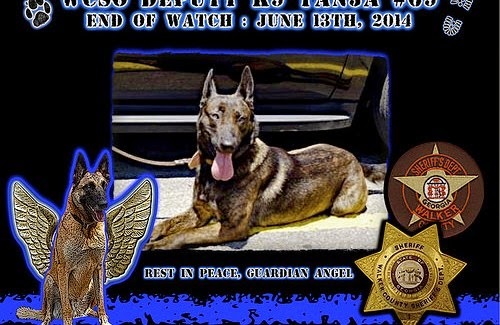 MONTVILLE TOWNSHIP, Ohio — A K9 with an Ohio police department was found dead after being left in a police vehicle for more than four hours, police said. According to the Montville Township Police Department, Beny died of heat stroke while it was left in its kennel in the back seat of the police car Sept. 28. Sgt. Brett Harrison arrived at the police station, about 36 miles south of Cleveland, shortly before 11 a.m. and started working on paperwork for several cases, police said. The dog, which according to WEWS-TV, Cleveland, was 2-years-old, was found lying lifeless in the compartment's kennel about 3 p.m. It was almost 79 degrees outside when the dog was found. Harrison received a two-week unpaid suspension as well as a loss of 40 hours of vacation time, police said. Police Chief Terry Grice said, "This is a loss that words cannot describe, and it is very difficult for everyone involved. There is no doubt that this loss will have a lasting impact on Sgt. Harrison and our entire department. Sgt. Harrison cared deeply about Beny. He worked with him 40-plus hours a week and Beny lived with Sgt. Harrison and his family when the two were off duty. Sgt. Harrison is overwhelmed with grief, and is taking this loss very hard." Police say Harrison had not been previously disciplined. He first joined the force in 2007.